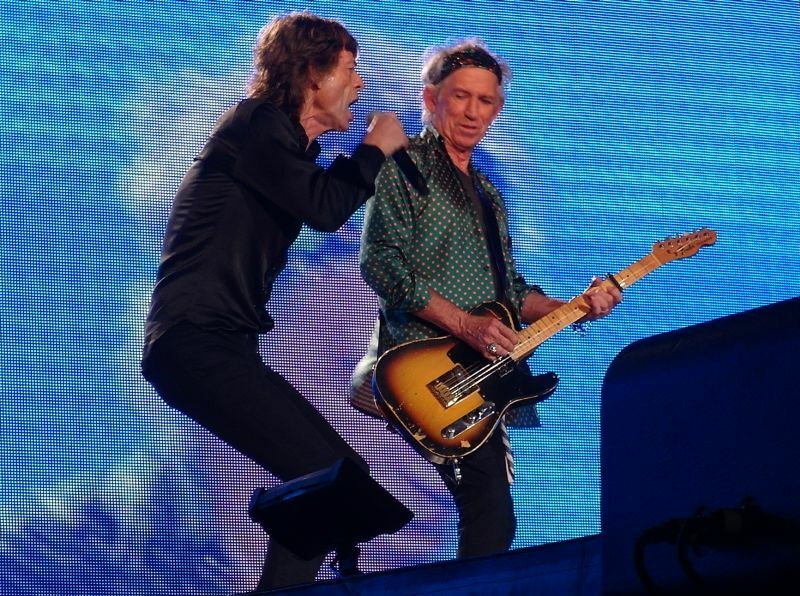 This thread is for live updates and comments regarding The Rolling Stones Abu Dhabi February 21, 2014 show. Please tell us your pre- and post-show thoughts and comments here. Edited 6 time(s). Last edit at 2014-02-22 18:07 by bv. At what time are we excepting the show to start in Abu Dhabi? Anybody opening for the stones tonight? I'll be seated in front of my laptop following your posts. Thank you! Just learned that Abu Dahbi is 9 hours ahead of Washington DC, USA. Edited 1 time(s). Last edit at 2014-02-21 15:06 by Stonesfan2146. At what time are we excepting the show to start in Abu Dhabi? I am in a limo about to meet the Stones!!!!!!!!!! Hope everyone going tonight has a fantastic time! I've had so much other stuff going on recently I haven't really been able to think about this - so today has come so soon... The Rolling Stones are back on tour! So excited and can't wait for Europe. There is nothing like the feeling in the air just before the Stones take the stage. Gold Rings on all of you in Abu Dhabi and safe travels to BV! Can you drink alcoholic beverages in Abu Dhabi? This is very usefull for knowing how much time it is now. Yes, although I'm pretty sure you have to own a licence to purchase it. WOW, this is exciting! Have a great time and please post your reports. Enjoy the concert. It's 7:12pm in Abu Dhabi now, I think the concert will begin in about 2 hours. Any news about the support act? Edited 2 time(s). Last edit at 2014-02-21 18:02 by claudine. watching this picture of the stones caught during rehearsal in abu dhabi makes me really feelin' lucky to be a fan. My 1st Stones concert was in 1982.. 34 years later I am still here planning my next Stones concert. Huge stage it seems, is that true???? Wow what a huge stage! And very nice designed! Thanks for all the photos and updates! Is Mick Taylor there already?